Developing a business application is a great way for a vast majority of companies to reach out to more customers effectively. However, you should keep in mind several factors while developing a mobile app for your business. Nowadays the mobile market is dominated by iOS and Android. Both operating systems are widely accepted and used by millions of people. The Pacific Rim prefer Android, but most of Europe, as well as the USA, put forward iOS. Though the Android has a much wider reach almost 80% people use Android smartphones, iOS takes the second place with a modest market share according to the StatCounter’s data. Apple’s devices are known for their stability and flawless performance. And these are key reasons why users prefer iOS devices to Android ones. Thanks to its popularity as the most secure operating system all over the world, iOS has got into almost every business and industry section delivering revolutionary software solutions. It’s more likely to hit a jackpot with an iOS app, especially in the UK or US. This may happen due to a large number of active users who have access to iPads and iPhones. Read Also: Why Does Your Business Need an App. iOS is a close-ended mobile operating system for Apple’s handheld devices (iPads, iPhones, and iPods Touch). It’s the 2nd most popular mobile operating system after Android. iOS has been introduced to the users relatively recently. First, it met the world in 2007. But it received its official name only in 2010 with the first release of iPad. Since 2010, Apple is constantly improving and updating iOS to enhance user experience or simply remove the system bugs as well as security flaws. Unlike Android, iOS updates its operating system on a regular basis. Major updates take place once a year, and secondary ones are released as soon as any bug is spotted. Why Choose iOS as your Business App Development Platform? Before investing in app development, you should keep in mind that the app has to be useful and feature-rich regardless of the mobile platform. The last but not the least is to choose a right app development team that can transform your app ideal to code. Don’t know where and how to find an app development company? Check out our latest article on How To Find the Best App Developers for your Project. Here are some reasons why you should choose iOS as your business app development platform. Many people are choosing Android because of its endless customizations. With that said, when it comes to reliability and easy-to-grasp user experience, iOS is a clear winner. Even with comparatively slower processors, iOS makes the app feel more fluid and faster. Apple has always thought of UI and UX first. Thus, you don’t need to read a training manual to understand how to navigate through the system as well as the apps. And this is the unmatched user experience that makes Apple’s devices so popular nowadays. Apple compliments its top-notch software with the best hardware components. It never compromises on the quality of hardware. 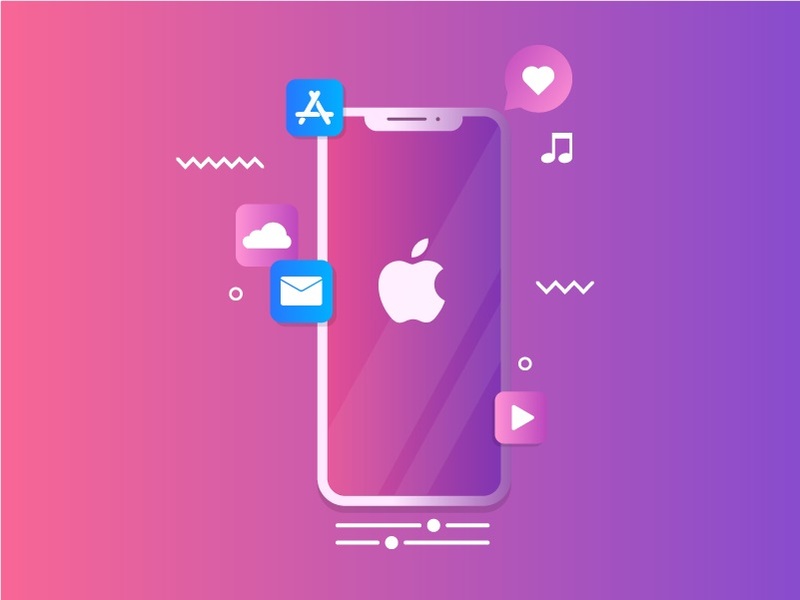 Apple takes care of the finest design and composition whereas Android or any other mobile platforms are likely to have lower aesthetic value along with much cheaper construction materials. 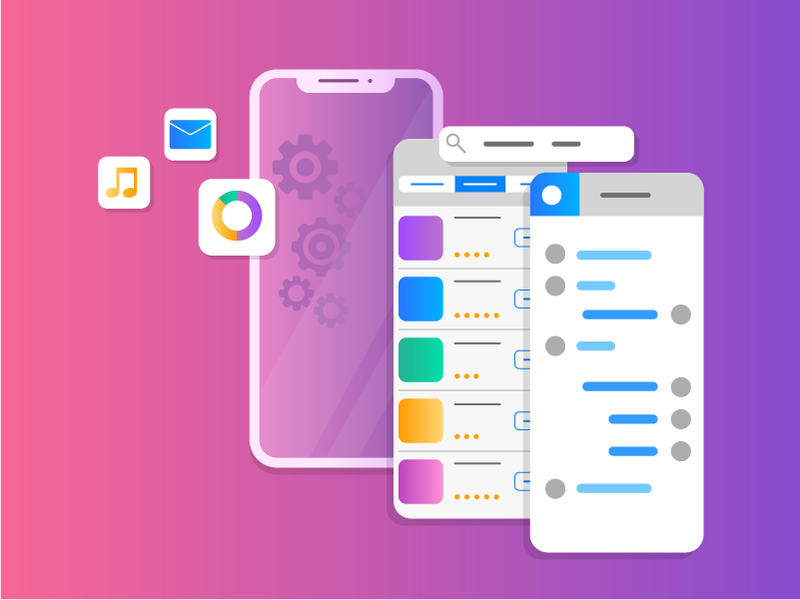 Thus, if you develop an app that functionally depends on the hardware components, it’s better to build an iOS app to provide the users with the unsurpassed user experience. When compared to other mobile operating systems, Apple offers intuitive and engaging user experience. iOS offers top-notch design and highly-intuitive experience for every app. Thus if you’re going to develop an intuitive, user-friendly, and contemporary app, iOS is right up your street. Also, there is a wider range of iOS development tools such as peek, force touch, etc. that allows providing an unmatched user experience. As a rule, mobile apps are created to deliver your services or any other offerings to your customers. It’s essential to consider demographic issues before starting development. iOS users are likely to spend more on in-app purchases than Android users. Thus, if you’d like to load your app with purchases, iOS is your choice. 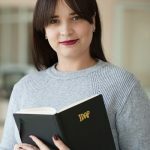 IDAP is a Ukrainian web and mobile app development company delivering top-notch software solutions at a reasonable price. We can develop innovative apps for businesses hailing from various industries. Looking for an app development company to build an iOS app for your business? Send us your app requirements, and we’ll come up with the right software solution to leverage your business.